Have you been assigned to write an expository essay yet don’t know what it demands from you? 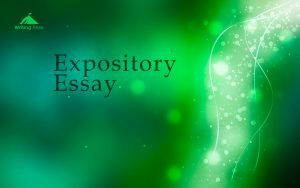 If you wonder what is an expository essay, you are going to find a thorough answer to your question right away. Expository essay writing requires great concentration and cold logic. Here, exceptionally balanced analysis based on strong facts should be presented. What is crucial to remember prior to starting writing this type of academic assignment is that the writer should never express his own opinion and emotions. Neither should there be any argumentations supported. The aim of an expository essay is simply to define facts and explain a certain theory. This work is daily training for students as, in course of life, it appears to be an ordinary requirement of most careers. The structure of an expository essay is the same as that of all other essay types. It is composed of three parts – the introduction, the body and the conclusion. The first part is to present your thesis statement and give the main idea of your work. The body is to be composed of three parts. All these paragraphs are to support the main thesis with different details. What concerns the last, but not less important part of the expository essay – the conclusion, it is to restate the thesis and tie together all the points mentioned in the work without suggesting any new idea. Let’s explain all the steps in writing an expository essay in a more detailed manner. Once you determine the topic, it’s time to make some research. Don’t forget to take notes of most important data. Once you scheme an outline, you will have a precise image about the final look of your work. Now it’s time to pass on drafting the paper. Remember that the topic sentence of your introduction should be the most important one. State a clear thesis without taking a certain position of expressing your viewpoint. The thesis is to be well supported in the body. Use each of three body paragraphs for covering a separate point. A good expository essay body is filled with only decent facts with no emotions. And all those facts are addressed to supporting your work’s thesis statement. You can notice this in all effective expository essay examples. The last paragraph of your essay is the conclusion. An efficient conclusion reinforces the thesis statement of the paper, defines all the supporting ideas of the facts that support it. Once you are over with drafting the expository essay, it’s time to revise it. There are several points that can help you clear out whether your expository essay is worthy or not. If your paper is written adhered to all the below-mentioned points, then you have a wonderful result! The analysis of the essay is unbiased and it unfolds logically. All the facts and examples used to support the thesis are relevant and up-to-date. The information you intended to deliver to your readers is clear and effective. Throughout the whole process of writing the expository essay, you didn‘t lose the focus and didn‘t bring forward irrelevant details. The structures of sentences are varied, while the choice of words is precise. You wrote the essay in the third person without showing any personal view. All the transitions between paragraphs and separate sentences are clear and smooth. The final part of the paper, the conclusion, transfers the meaning, as well as the value of your thesis statement while reminding about the key ideas. Once you are sure of the authenticity of your expository essay, check it for any grammatical, stylistic and other mistakes. It will be great to give the ready work to someone whose knowledge and opinion you rely on to read it. A fresh perspective is always appreciated!